Preschool Easter egg hunters, take your mark. 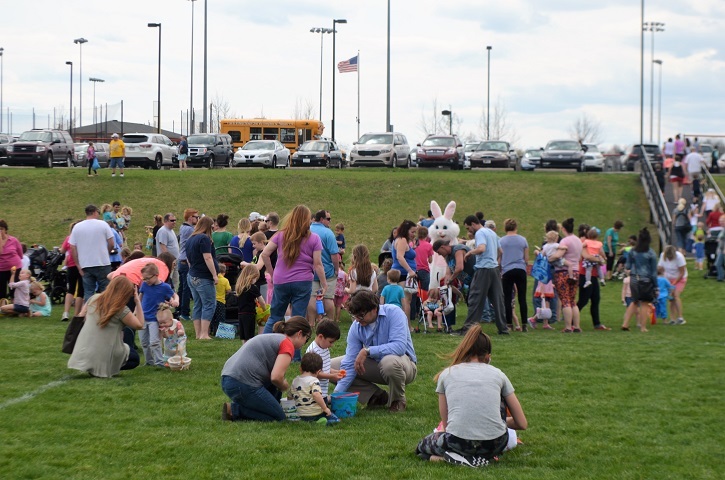 The City of Bridgeport egg hunt is scheduled for 2 p.m. Tues., April 16 at Bridgeport Recreation Complex. About 3,500 colorful plastic eggs - all filled with candy - will blanket the all-purpose field, awaiting area children age five and under. 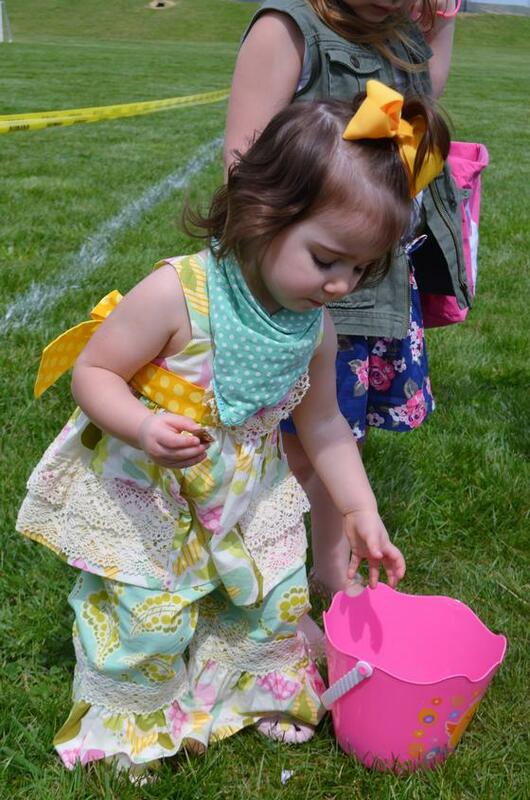 Participating kids will be divided into two age categories - 4- and 5-year olds and 3 and under - and when the signal sounds, they will make a mad dash with baskets in hand to pick up as many eggs as they can. As is tradition, some special golden eggs will be mixed in. Those who find them will receive a special prize. As is also tradition, the Easter Bunny will be on hand to meet and greet children and pose for photos. Bridgeport Parks and Recreation Director Joe Shuttleworth said it's typical for 200 area children to take part in the holiday activity. Last year, however, because of constant rainy weather, the egg hunt was cancelled. 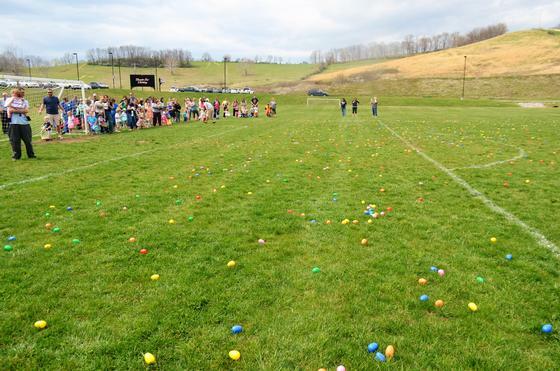 Shuttleworth said he's always referred to the event as more of an egg dash, than egg hunt, as the colorful eggs are in plain sight and the kids are turned loose to gather as many as they can until they are all gone. Children should bring their own baskets or bags for the hunt. They may keep all the eggs they find, as well as the candy prizes inside. Bridgeport Parks & Recreation purchases pre-filled eggs, a service of a sheltered workshop labor force which utilizes handicapped workers. Editor's Note: Photos were taken at the 2017 Bridgeport Parks and Recreation egg hunt.